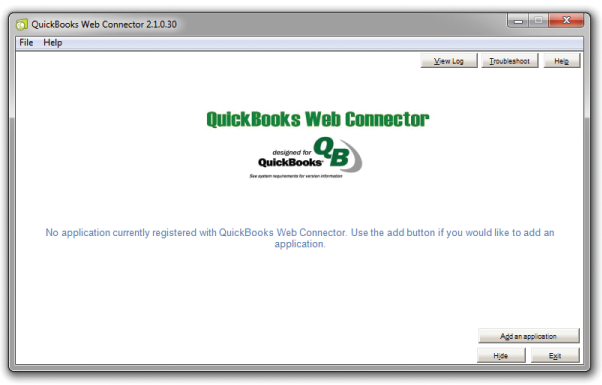 If you are currently disconnected from QuickBooks Desktop. 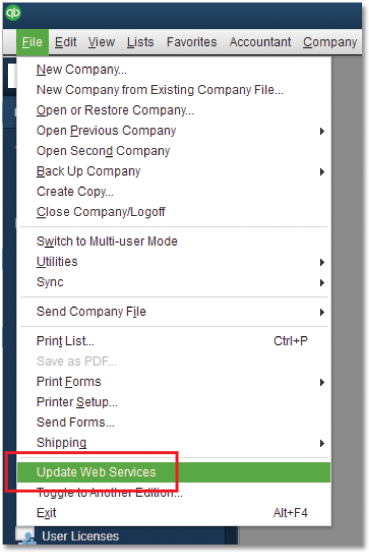 Press the "Enable Connection" button to enable the connection between QuickBooks Desktop and Time Tracker. Locate your Web Connector file (.qwc file) and double click to open it within Web Connector. 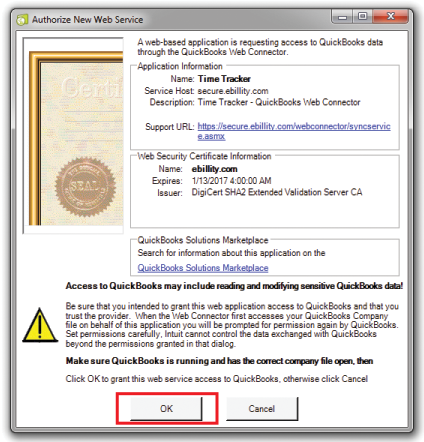 QuickBooks Desktop will open the Authorize New Web Service window, click OK.
QuickBooks Desktop will open the Application Certificate Window. 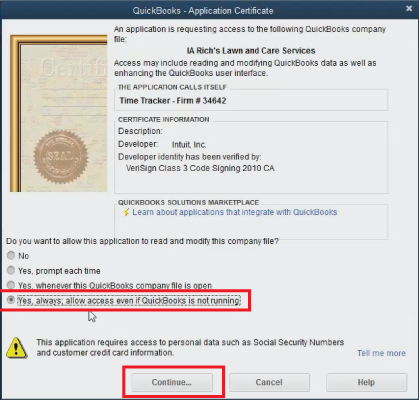 Select "Yes, always; allow access even if QuickBooks is not running" and click Continue. and enter your Time Tracker password in the text field on the right. Click the "Update Selected" button at the top of the window. As the connection updates, the progress bars will advance toward 100%. Once Total Progress is complete, exit the Web Connector. To open web connector after it has been shut down go to File>Update Web Services.